Romantic photo frame for two pictures. Sand drawing online. Try out this great summer template with sea, sand, beach shells and a sea star. 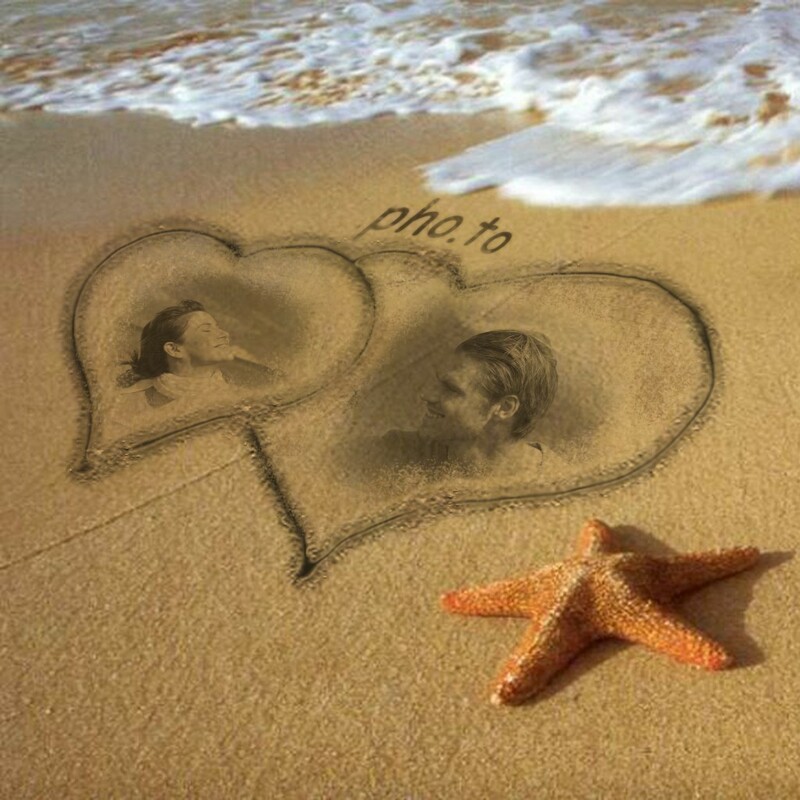 Make a lovely sand drawing from two photos in heart frames. Create a beautiful portrait collage for your summer photo album. Do you think you are too shy to make a declaration of love? Let's make it easier with this summer photo frame! 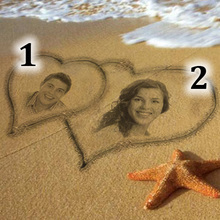 This romantic photo frame will insert your face pics into a heart-shaped double photo frame with sea, sand and a sea star. 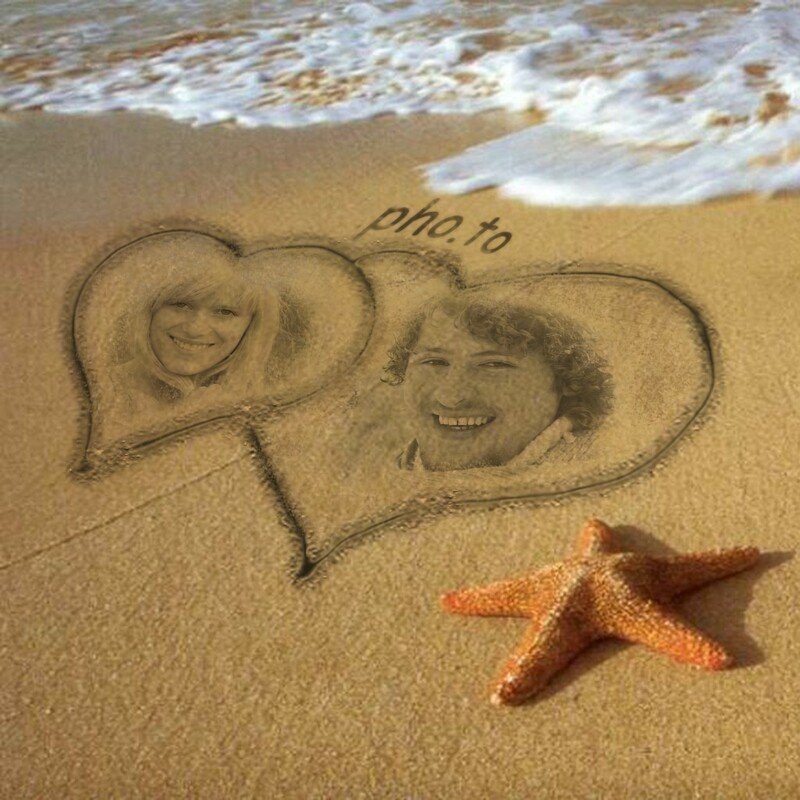 Love photo editing with “Summer love” effect is pretty simple: upload two photos of yours, wait a second, and voila! You’ll get wonderful sand pictures like ones that artists make when drawing on sand. Such declaration of love is better than thousands words! Fill your summer photo album with love pictures of yours inside various beach picture frames or share them with your girlfriend or boyfriend. 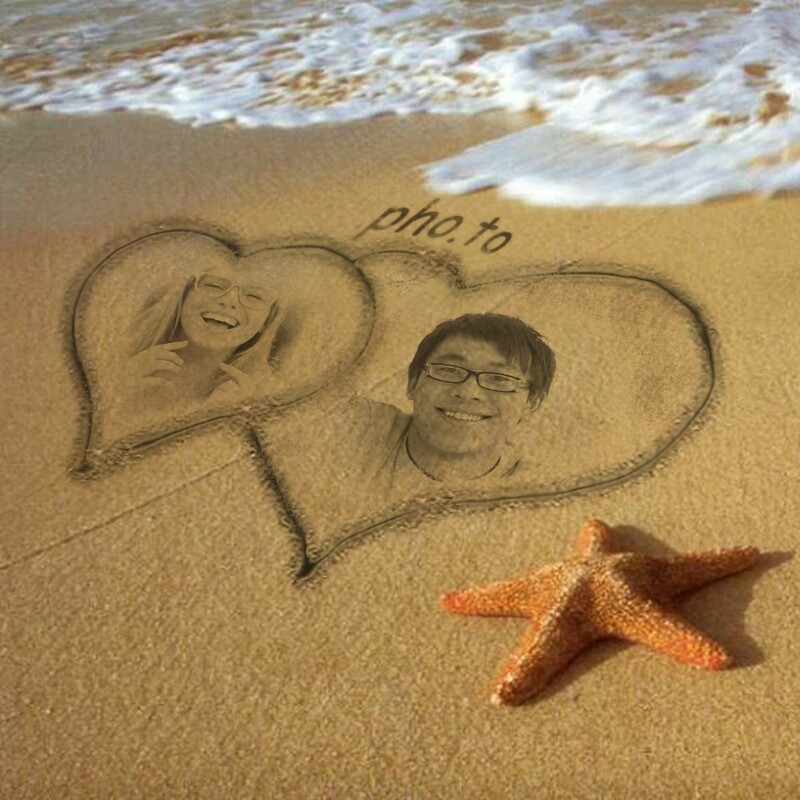 Funny.Pho.to will help you quickly and easily add summer photo effects and heart frames for photos online. There are so many ways to tell about love...and this is one of the best.